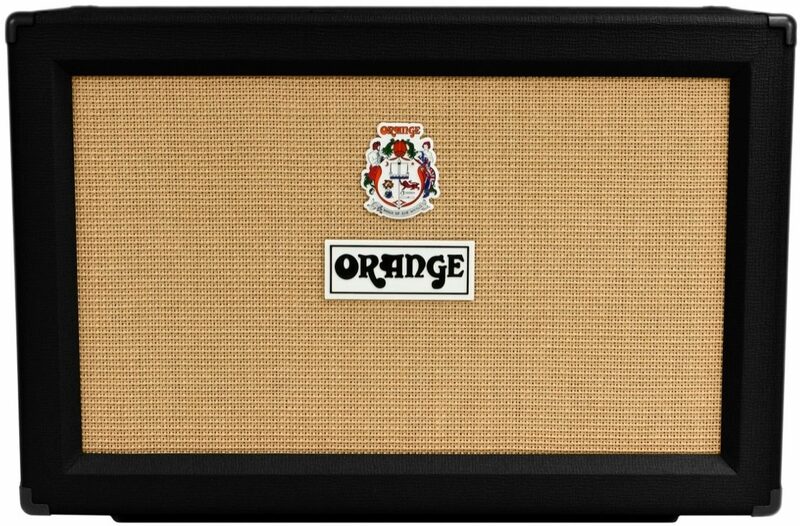 The Orange 2x12 is Exactly as Cool as You Think It Is! The Orange PPC212-C guitar speaker cabinet gives you the classic, striking Orange aesthetic in a cabinet that offers 120 watts of that distinctive Orange sound. It is also built to last, and to travel wherever the gig takes you, in live or studio situations. If you don't quite need the power of the PPC412-C 4x12 cabinet, or want something a little less loud in the studio, this 2x12 is a great option. The PPC212-C guitar speaker cabinet is crafted from 13-ply Baltic birch high-density 18mm birch plywood, like all of the rest of the cabinets in the PPC (Power Projection Cabinet) series. This means that the cabinet itself delivers a great resonant tone, with an notably excellent midrange. Inside the cab, you find two 12-inch Celestion Vintage 30 speakers. The Celestion Vintage 30 is an update of the legendary original Celestion Blue speakers, utilizing a new cone design and coil assembly to achieve better sound with less heat gain. The new design allows these speakers to shine with a 60-watt output that can get truly loud without losing clarity or definition. The PPC212 has two parallel 1/4-inch inputs in the rear panel to take signal from whatever powered amplifier you use, at a 16 ohm nominal impedance. The design of the PPC212 makes transport easy. It has comfortable flush cabinet handles and weighs about 60 pounds. Like all Orange amplifiers, it has unique "skid" feet that make it possible to acoustically couple these cabinets with one another, or to the stage. This provides a much tighter frequency response, particularly in the low end. The design is a traditional closed back 2 x 12 configuration. The cabinet is covered with Orange's bright namesake color, and vintage basket-weave grill cloth. 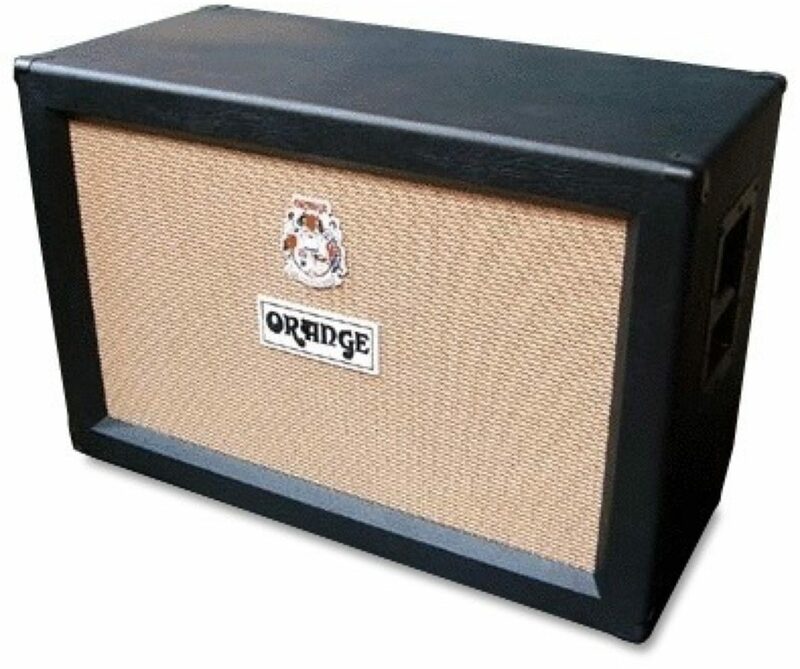 The Orange PPC212-C guitar speaker cabinet is a tried-and-true option with a unique sound and a long legacy to back it up. It's world-famous for a reason! Orange speaker enclosures, like Orange amplifiers, are built to last using extremely rugged construction and manufacturing techniques. Every Power Projection Cabinet is manufactured with 13-ply high-density 18mm birch plywood throughout. Orange's unique 'skid' design feet help to acoustically couple their cabinets to the stage to provide a tighter bass response and full range definition. All PPC212C enclosures are equipped with 2 Celestion Vintage 30 speakers and feature comfortable flush cabinet handles. Orange heads and cabs are considered synonymous with good old classic Brit OD and grit. Beyond that, I have found that this closed-back cab excels at delivering thundering lows that are unparalleled by cabinets of any other color. When it comes to other cabs from across the pond, my mind sooner jumps to a chime-like overtone that does not always fit the bill for more modern, aggressive, down-tuned rock. While an Orange head is definitely the ideal pairing, I have been impressed with these Orange cabs -- both this 2x12 version and the 4x12 -- when paired with more high-gain American heads to really knock it out of the park with modern, heavier rock. These deep, dense birch cabinets loaded with V30s tame any high-end hiss or "zap" in your fuzz and distortion, and put punch into your chugs for a throaty growl. "Orange You Glad I Didn't Buy a Banana?" Sound: If you're familiar with the Celestion Vintage 30's, then you know exactly how this will sound. It is your standard rock setup; whether hard and heavy, or soft and mellow, this cab will make your axe sing. Feature: There really aren't any crazy features; it's a guitar cab. You've got an input jack, and a link jack (for connecting a second cab, I believe?). Ease of Use: It's plug and play. Quality: The quality on this cab is amazing; however, it's so sturdily built, that it's a hefty unit. While still very portable, it is only slightly less heavy than my 4x12 was, and it's a bit bulky. I wouldn't be afraid if this thing fell down a flight of stairs, it just wouldn't look as pretty. Value: If it wasn't built so sturdy, I would say it's not worth it; but this is one of those cabs you'll keep for life (or until your drug habit forces you to sell it after you've become a famous rockstar and hit rock bottom). Manufacturer Support: I haven't had to deal with Orange Customer Support; but I'm sure they're super nice guys and gals. The Wow Factor: It's a cool orange color, so that's pretty sweet. I'm worried that the orange will show scuffs a little better, but that remains to be seen. 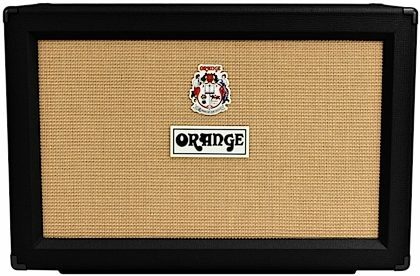 Overall: There really isn't much to say about this cab; it's a standard Orange closed back 2x12 with the Celestion Vintage 30's. I needed something a little smaller than the 4x12 I was using, and yet it seems like I've upgraded everything about my sound This is the sound I always thought my Peavey 5150 was supposed to have; and I've finally reached gear Nirvana (at least for my tone needs). It has the solid low end; perfect mids, and creamy highs that you seek (assuming you seek the same sound as I do; of course, your mileage may vary). It's super responsive, and sounds great no matter what I'm running in front of it. I typically switch off between the 5150 and an Orange Tiny Terror; some days I'll run 10 pedals up front, sometimes I go straight Guitar to Head; but this unit sounds phenomenal with anything you throw at it. Style of Music: Progressive Rock/Metal and Jazz Fusion, mostly, but I've been known to run the gamut of musical styles. Overall: This thing is awesome; furthermore, it is built like a tank! It is huge for a 2X12, which in my opinion is good -- cramming speakers (especially 12") into a cabinet with no space, they tend to distort out and lose resonance, as well as muddying up the bottom end. This cabinet overcomes these issues. I bought a Hughes and Kettner Tubemeister 36 to go with it and it is a killer combo! I would put this cabinet up against any 4X12 any day. I do wish it had casters, as it is a bit awkward to carry or move about.